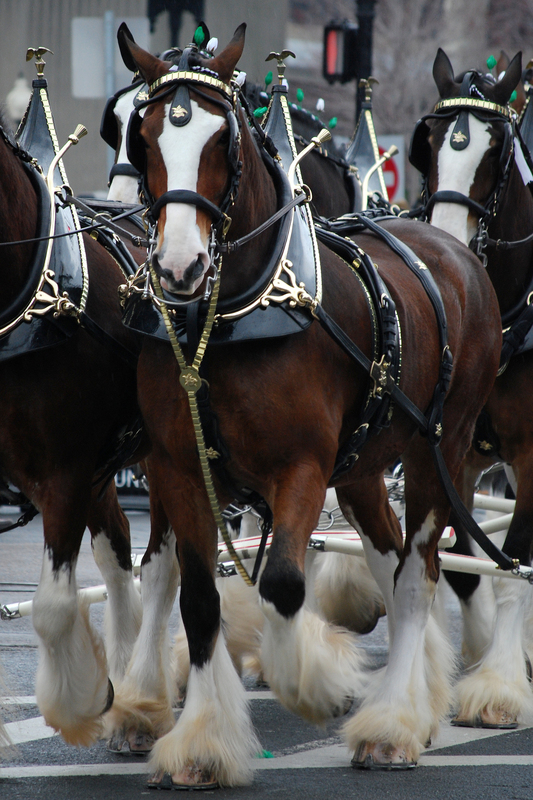 Unless your brand comes to the event with Clydesdale’s, better get some great banners! According to eventsinamerica.com, on this particular day there are at least 51 major conferences, trade shows, consumer shows and fairs happening across America. Many of course are academic or medical conferences, but these gatherings come in all forms. Today, 9,000 will descend on SuperZoo 2013, a conference about pets in Las Vegas, while in Baltimore scores of fire, rescue and EMS professionals will gather at Firehouse Expo 2013. The Philadelphia Gift Show will entertain thousands of buyers with gift product categories including “Birdwatch & Outdoor Living” or “Souvenir & Resort”. Today 1,200 scientists will show up for the 27th Annual Protein Society’s Symposium in Boston, (I think maybe just don’t ask, right?) while the prize hogs and deep fried candy bars at 4 County Fairs and 2 State Fairs will attract over 2.7 million people. That is just a taste of today’s events. Trade show action really gears up for Fall, and if you’re like most marketers, you’re planning now. 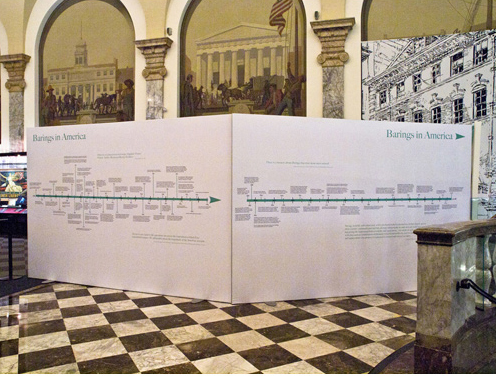 A giant, eye-level timeline and historic backdrops, by highresolution at the Museum of American Finance. Whatever’s on your show and conference calendar, it is a safe bet that your displays will have to compete for attention with other brands looking to make an impression, and that you’ll have to do so on a tight budget. At the OC State Fair today, you can see the famous Budweiser Clydesdale’s, and I’m betting those horses are enough to make huge a brand impression. But if your brand is to stand out, you’d better create some amazing visuals to entice people to explore your booth, exhibit or other brand space. Whatever you need, our experts can help you make it strong yet portable, compelling yet elegant and always in keeping with your brand’s positioning and messaging. From a single, brilliant backlit fabric banner to top red carpet step-and-repeats to entire museum displays, we’ve done it all and then some. And our vast resources and expert project management mean you’ll have time to plan the rest of the marketing mix for your key events. Contact us and we’ll partner with you for superb results in no time flat. PLACE YOUR BANNER ORDER* BETWEEN JULY 23 AND AUGUST 15 AND YOU’LL BE ENTERED FOR A CHANCE TO WIN 3 CASES OF FINE IMPORTED OR AMERICAN MICRO-BREWED BEER, DELIVERED TO YOUR OFFICE. 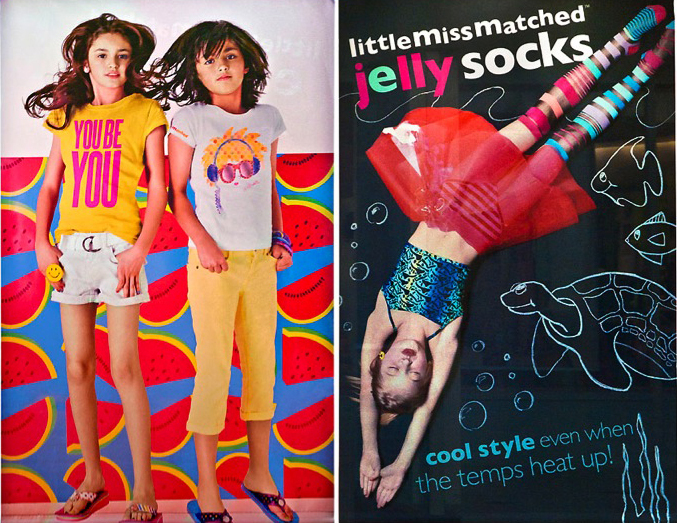 Some store window posters by highresolution. * new orders only. purchase order number required. Must be 21 or older to win.